It’s a big deal that Will Guidara and Daniel Humm are closing their tasting menu restaurant Eleven Madison Park for a renovation this summer. After taking the helm at the Madison Square Park-adjacent restaurant more than a decade ago, the team turned it into one of the top fine dining destinations in the world — all while using a kitchen that hasn’t been updated in 20 years and a space that didn’t originally belong to them. 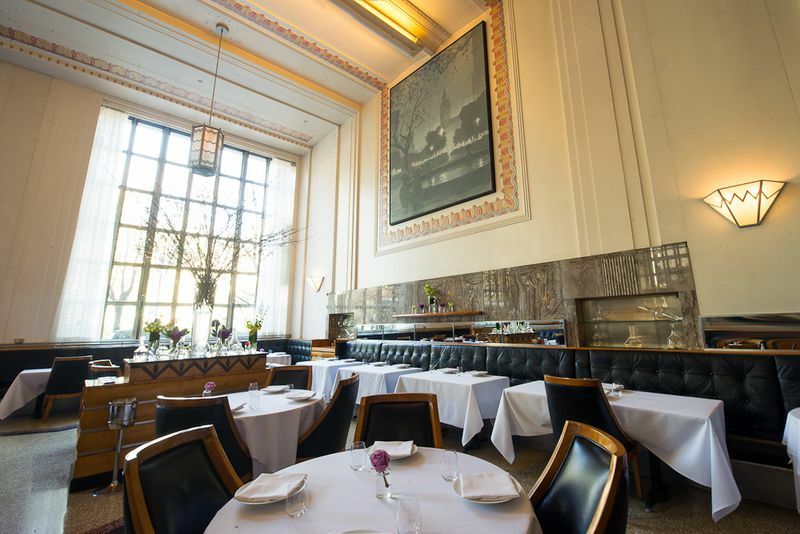 Eleven Madison Park will close on June 9 for the renovation, after months of offering an 11-course tasting menu that serves some of the most significant dishes through the years. Guidara and Humm sat down with Eater to talk more about what went into the decision-making process for changes in the space, from a total revamp of the artwork to a brand new bar area. They weren’t 100 percent sure they would be able to stay in the space. Guidara and Humm first took over the restaurant under hospitality titan Danny Meyer in 2006, but the restaurant had been open for years before that. The lease on the space expires next year, and they didn’t think it was a guarantee that it would be renewed at a reasonable rate. Looking at places like Union Square Cafe that had to move due to rent hikes, the two actually went into the lease renewal process with “not a ton of optimism,” Guidara says. “If they had doubled our rent, we couldn’t have continued,” Humm says. It turned out that the landlord was “super supportive of what we’re doing here,” Guidara says. 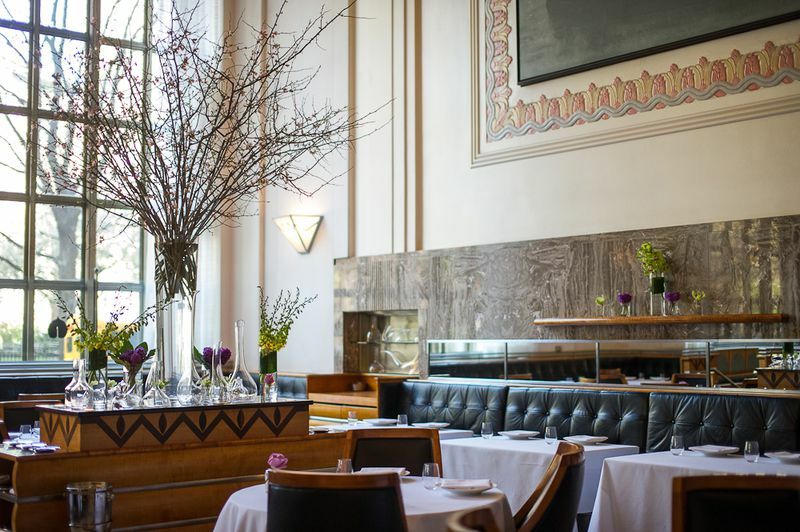 They reached a deal that would ensure Eleven Madison Park could stay for another 20 years. “I’ll be older. You’ll be an all-out elderly man,” Guidara says, looking at Humm. “Yeah. I think I’ll be happy at that point,” Humm says. They weren’t planning to do much with the dining room at all. Initially, updating the kitchen was the primary concern, and they didn’t plan to do much with the dining room. They are only closing the restaurant because it can’t run while the kitchen is under construction. But Cloepfil approached them with a “just for fun” modest redesign with changes like a more symmetrical layout — and they loved it. It’s not clear yet what sort of work will be replacing Hannock’s pieces, but it will be respectful of the nearby park and the restaurant’s history. “The idea was always to have the park be a big part of the story of the restaurant,” Humm says. Otherwise, the space won’t change significantly. They love the space and wanted to maintain aspects of the restaurant, like the chandeliers, moulding, columns, and marble detailing. “We almost want to make the room feel a more fully realized version of once it was,” Guidara says.